1. 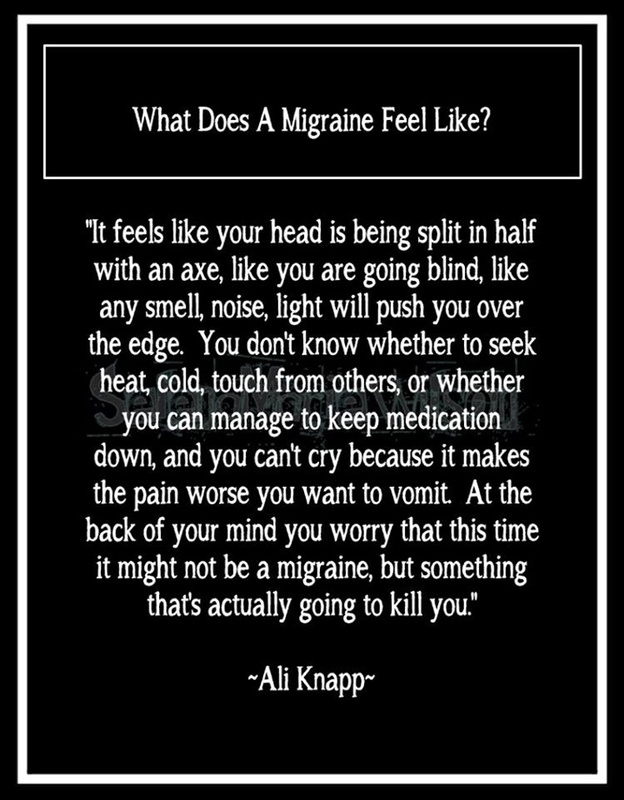 A migraine is not just a "bad headache". A migraine is a neurological disorder, and research increasingly shows that it is genetic. 2. Head pain is not the only migraine symptom. Impaired vision, nausea and heightened sensitivity to light and sound are the most well-known migraine symptoms. But migraine symptoms can be felt in any part of the body. 3. Migraine attacks are disabling. Moving exacerbates the pain so much that even getting up to go to the bathroom or to get medication from another room can be nearly impossible. 4. Painkillers are not a panacea. For some, painkillers reduce migraine pain somewhat but do not eliminate a migraine entirely. 5. A migraine has four distinct phases. The part most people are familiar with is the third stage, which is the most painful. The fourth stage - or migraine hangover - can feel as horrible as influenza, including a headache, heavy fatigue and impaired thinking. 6. A migraine can impair thinking. Carrying on or even following conversations is difficult during a migraine attack and thinking decision-making skills can be affected. 7. People who have a migraine are not more stressed out. Stress can certainly be an exacerbating factor but many migraineurs don't find stress to be a factor at all. 8. Lifestyle changes for people with a migraine aren't always sufficient. Dietary changes, exercise, and keeping to a sleep schedule can all help in the management of a migraine. These changes alone are rarely enough to stop the migraine attacks completely. Migraine bukan sakit kepala biasa. Sekarang dah masuk hari kedua dah 4 ketul painkiller aku makan tapi still jugak tak baik. Punca migraine ada macam-macam. Lain orang lain trigger. Sekarang punca migraine aku disebabkan datang haid. Itu genetik dari mak aku. Antara punca lain yang boleh menyebabkan aku migraine adalah perut kosong, kurang tidur, lebih tidur, cuaca panas melampau dan jugak keadaan sekeliling sejuk melampau. Semua serba tak kena! You are lucky if you never feel this it-makes-you-feel-like-dying kind of throbbing pain. Lenne kalau migraine tak teruk so far, alhamdulillah. Some people ada yg barely boleh berjalan kan bila migraine, like my aunt. You should get it checked by a doctor. Ada ubat khas untuk migraine and if memang dapat secara konsisten, ie time period sekalipon I think doctor takda masalh prescribe. I think sumatriptan something. Lol, berkarat gila ingatan pasal ubat dah ni. 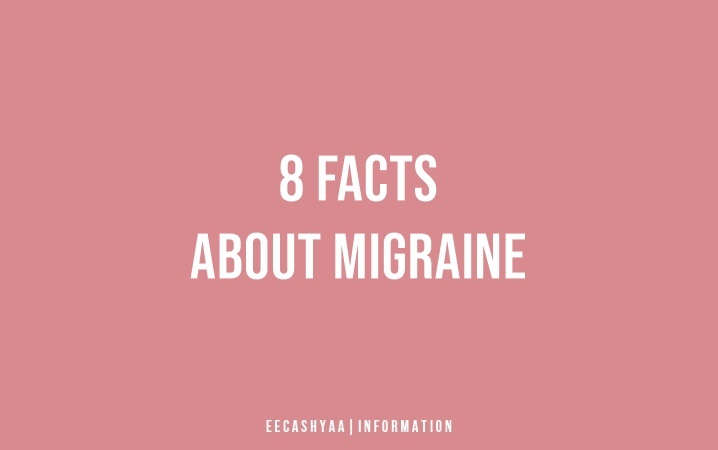 Try as farmasi dekat-dekat since from our study, migraine is painful and seriously a good medicine can help to improve your life. Eeca. Elakkan diri daripada menghampiri sebab2 akan ke arah Migraine okay. Try pergi check dengan doktor tau.. huhu..